Kata Tjuta means many heads – today our pilgrims did the hardest hike most of us have ever done – what an achievement! Kata Tjuta is a sacred men’s business region, and in respect of this our pilgrims chose not to take photos, remained quiet and were able to soak up the sheer beauty of this remarkable place. 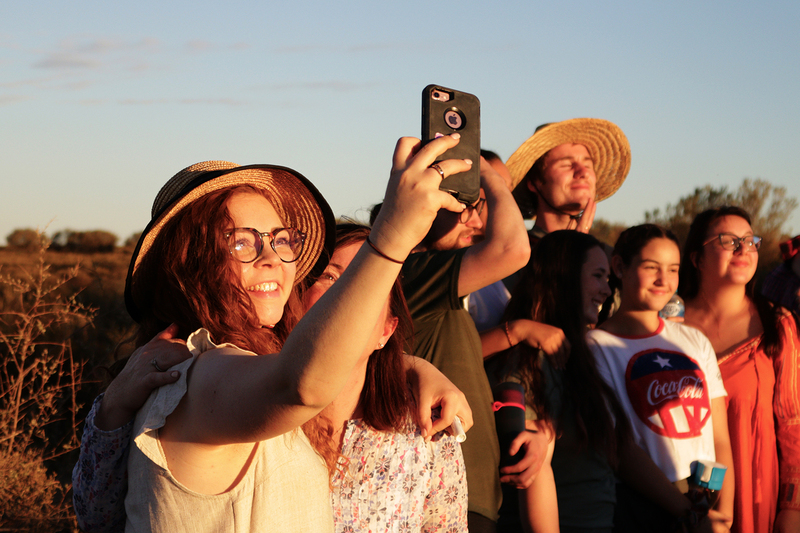 After some much needed rest time and a hearty lunch – we watched the sunset over Uluru from a popular viewing spot. Guess who we saw there? Our new friend Shirley who taught us her culture. Shirley greeted us with a great big “Palya”! 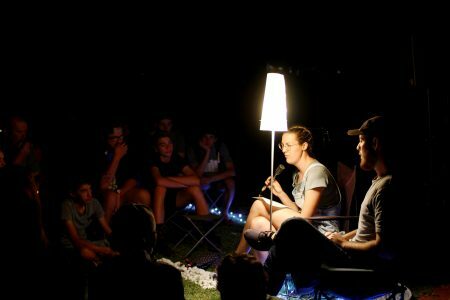 Later that night we came together with the other buses for a deep refection space – we considered what is precious in life, and what we are holding onto that has been keeping us from who we are meant to be. There were many tears as we washed each other’s hands to symbolise letting go.